Today, November 19th 2015, marks the release date of Drupal 8. To celebrate this release, I decided to publish my interview with Larry Garfield today. Larry is a key member of the Drupal community and a core contributor to the project. Throughout the conversation, Larry tells us the origin story of Drupal 8 and how the technical challenges lead to the adoption of technology from the broader PHP community such as Composer, Twig and a set of Symfony Components. I hope you like the interview, it gives a nice behind the scenes look at the history of Drupal 8 and how Drupal reached out to the PHP community to create a more modern code base. I also want to mention that Larry works at Palantir and he blogs at http://www.garfieldtech.com. If you want to celebrate Drupal 8, there are tons of release parties around the world. You can even find all these events on a nice map at Drupical.com. As an evangelist in the hosting industry, I’m very excited about the release and I look forward to the first Drupal 8 deployments on our servers. End-users should be equally excited, because Drupal 8 will be a lot easier to work with. Drupal used to be a content management framework, now it’s finally a content management system like its competitor WordPress. And for developers it’s also a historic release: a more modern code base that uses more current PHP features than its predecessor. Composer support for dependency management, Twig as the templating layer and Symfony components for a lot of low-level parts of the application. 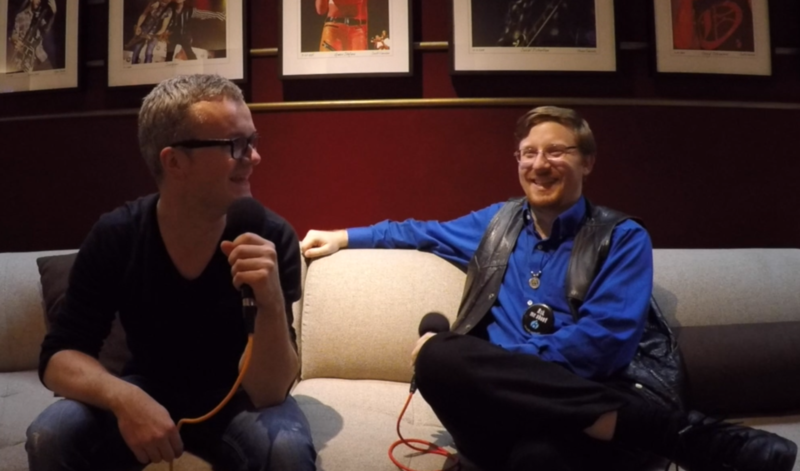 The video was recorded during Zendcon 2015 in Las Vegas in the green room of The Joint at the Hard Rock Hotel & Casino. A very enjoyable setting and a very nice interview. There’s an audio-only versio for those of you who want to listen rather than watch (because you’re commuting, you’re in the car, or your working out). If you want to stay updated on future episodes, I suggest you subscribe to my channels. For the audio, please subscribe to my SoundCloud channel: https://soundcloud.com/thijsferyn and for Youtube you can subscribe on http://youtube.com/thijsferyn. You can also follow me on Twitter at @ThijsFeryn.